Have you ever thought about how versatile oats are? Whether you prefer old fashioned rolled oats, quick oats, or steel cut oats, there are so many different ways to use oats. 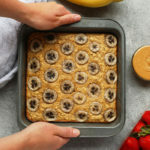 We love using oats here on Fit Foodie Finds! 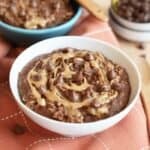 We love overnight oat recipes, stove top oatmeal, baked oatmeal, and we even use rolled oats in some of our favorite savory recipes. This post is a one stop shop on all the ways you can use the oats in your pantry! 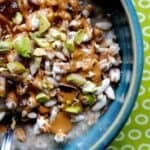 It is no surprise that we love oats here on Fit Foodie Finds! I would even go as far to say that old fashioned oats are a pantry staple that we ALWAYS have on hand. 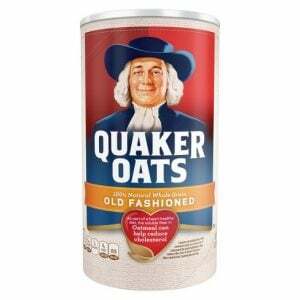 Yes, we use old fashioned rolled oats (mostly) in our overnight oatmeal recipes and stove top oatmeal recipes. It is one of our all time favorite ways to eat oats. However, oats are so versatile and offer so much more than just a tasty breakfast option! 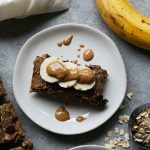 We incorporate oats in SO many of our recipes—> healthy oatmeal cookies, apple cinnamon baked oatmeal, red curry meatballs, peanut butter energy balls, and so much more! Oats are a gluten free whole grain. 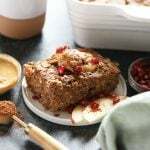 If you are gluten free, you can incorporate oats and oat flour into many recipes. Just make sure the oats you buy say ‘Certified Gluten Free’ so that there is no cross-contamination. Oats are a great source of complex carbs and fiber. Oats are known to help with constipation. We are all about good digestion on Team Fit Foodie and there is nothing like a big bowl of oatmeal in the morning! 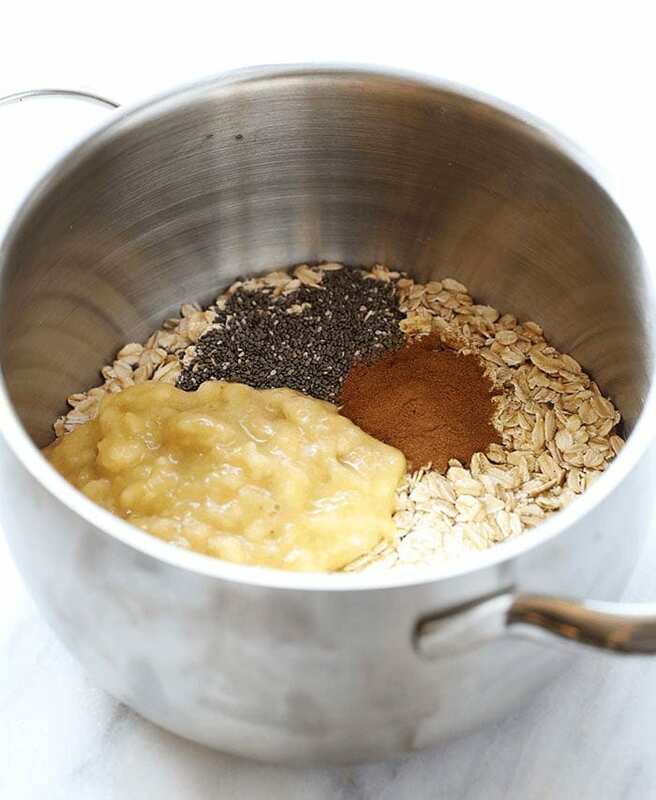 Oats are a great exfoliant for DIY face masks! We have a DIY Oatmeal Avocado Face Mask on FFF that will make your face super smooth! Want to know more about the different health benefits associated with oats? Check out this article Harvard School of Public Health Article for more information! Old Fashioned Rolled Oats or Steel Cut Oats? Old fashioned rolled oats and steel cut oats come from the same whole cereal grain. It is how they are processed that is different. 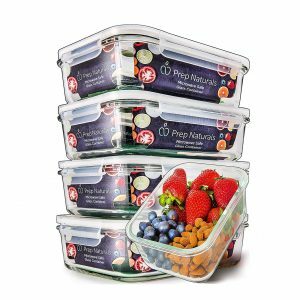 However, though they are processed differently, they have about the same nutritional value. Rolled Oats– Rolled oats are a bit more processed than steel cut oats. They are stripped from the grain, rolled through mills to be flattened. The break down of the rolled oats makes cook time a bit faster than steel cut oats. Rolled oats are typically easier to use in baking recipes. Rolled Oatmeal Nutrition Facts (per 1/2 cup): 150 calories, 5g protein, 27g carbs, 2g fat, 4g fiber. 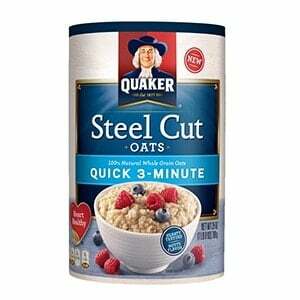 Steel Cut Oats- Steel cut oats are also processed, but instead of being rolled, they are chopped up into pieces and tend to have a longer cook time than rolled oats. 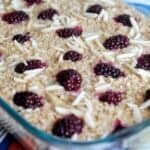 Steel cut oats also tend to have a bit more bite to their texture! Steel Cut Oatmeal Nutrition Facts: 150 calories, 4g protein, 28g carbs, 2.5g fat, 2g fiber. Hot oatmeal is what people picture in their mind when they think of an oatmeal breakfast. We have so many healthy and easy stove top and crock pot recipes on Fit Foodie Finds. Check them out now! 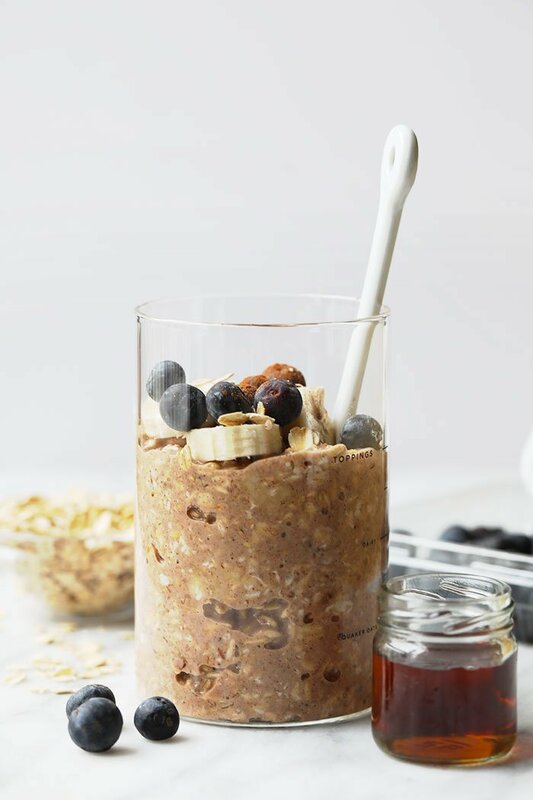 Overnight Oats are a staple on Team Fit Foodie. We love to meal prep overnight oats at the beginning of the week for an easy and delicious breakfast all week long! 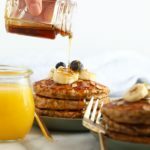 If you aren’t an oatmeal for breakfast kind of person, but still want to use your oats in the kitchen, we’ve got all kinds of recipes on FFF that use oats! 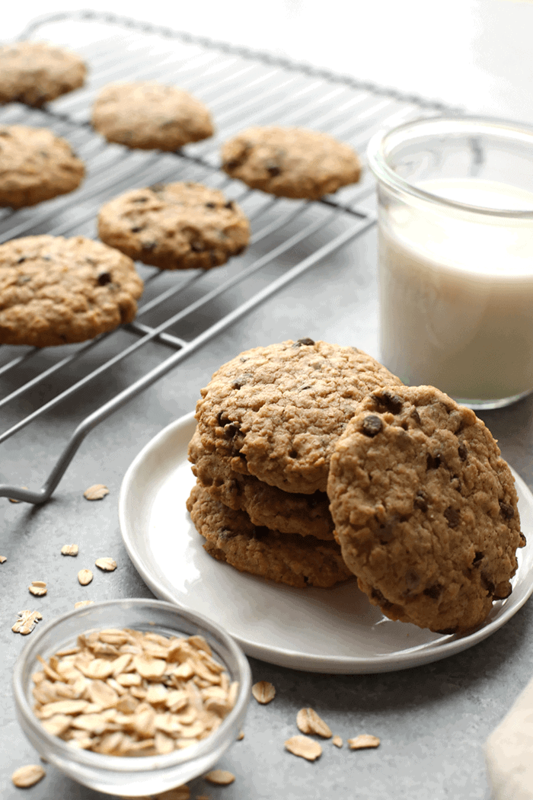 Try one of our cookie recipes or use your oats in a savory meatball recipe! Have you ever thought about how versatile oats are? Whether you prefer old fashioned rolled oats, quick oats, or steel cut oats, there are so many different ways to use oats. 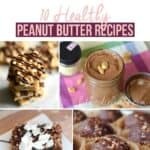 We love using oats here on Fit Foodie Finds! 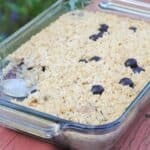 We love overnight oat recipes, stove top oatmeal, baked oatmeal, and we even use rolled oats in some of our favorite savory recipes! This post is a one stop shop on all the ways you can use the oats in your pantry! Place all ingredients (minus 1/2 cup almond milk) into a medium sauce pan. Turn to high medium/high heat, mix, and bring to a boil. Turn heat down to low/medium and simmer for about 5 minutes, stirring consistently until oatmeal thickens. Add 1/2 cup more almond milk and mix again. Let simmer for 1-2 more minutes. We call this double whipped.